Happy Monday Everyone! Hope you had a fantastic week. I'm going through lots of stress at work inheriting even more cases as an attorney just got laid off. So happy he already has a job. And once I get through Thursday, I'll be okay. Just hoping I don't revert to eating tons of sweets like last week to deal with the stress. Manny, a modern teen Scrooge, faces 3 ghosts as he outruns arson charges, falls for his fire victim, & battles for redemption. Doesn't it sound fantastic? The Boy Who Loved Fire is available now. For more information, or to stop by and say Hi, please visit Julie on her blog, on Twitter, and on Facebook. Here's some other news. I just heard that IndieReCon, an online writer conference like WriteOnCon, that focuses on self-publishing will be February 25th-27th. The schedule isn't up yet, but you can go HERE to find out more details soon. And Terrie Wolfe from AKA Literary Management will be doing a picture book contest at Sharon Mayhew's blog on February 10th. Five fiction and five nonfiction writers will win a critique and a 30 minute phone call with Terrie. There will be a MG and YA one in March and April too. Go HERE to find out details. And one last piece of awesome news. Adventures in YA Publishing is doing a pitch + page contest for MG/YA/NA authors. There will be book prizes and a critique by an agent. I'm honored that I'll be one of the judges. Go HERE for details. And I have two winners to announce. The winner of CRUEL BEAUTY is Jaq! The winner of TELL ME WHEN is Jessie Humphries! Congrats! E-mail me your address so I can send you your book. Please e-mail me before the end of Wednesday or I'll have to pick another winner. Today I’m thrilled to have Holly Schindler here to share about her new middle grade novel, THE JUNCTION OF SUNSHINE AND LUCKY that releases on February 6, 2014. This is a contemporary middle grade story that I knew many of you who read middle grade stories would love so I jumped at the chance to share Holly’s book with you all. Holly has also published two YA contemporary novels, PLAYING HURT and A BLUE SO DARK and her next YA novel, FEREL, will be published later this year. Hi Holly! Thanks so much for joining us. I’ve always been a writer, really. I’ve long been attracted to books—even when I was a little girl, I had to have a new Little Golden Book when I went to the supermarket with my mom. And I was already writing stories at my child-sized rolltop desk when I was a first-grader (but had been acting out stories with my dollhouse before that). I studied literature and creative writing in college, and published several short pieces: short fiction, poetry, and literary critique, in journals. When I graduated with my master’s, Mom encouraged me to stay home and devote full-time attention to getting a writing career off the ground. (Very ROOM OF ONE’S OWN, isn’t it?) Even with such great family support, it wasn’t easy—it took a full seven and a half years to snag my first book deal. But I’m so, so glad I stuck with it. I can’t imagine a life not writing. 2. That’s so cool how your mom encouraged you. Where did you get the idea for your story? About four years into my pursuit of publication, I hit a really hard time. I had to ask myself, “Am I really going to keep doing this?” I hadn’t made much progress at all toward my publication goals—I hadn’t even started to get “good” rejections (the kind that come with advice from editors or agents). Obviously, I pushed through my bad feelings, decided to put my rear in the chair and just get to work. The first thing I wrote after making that decision was the first draft of THE JUNCTION OF SUNSHINE AND LUCKY. you’ve written are YA stories and this is your first MG book. What made you decide to write a middle grade story and how did you find the writing of this story different than a YA one? The first draft of THE JUNCTION was actually a picture book. But editors who saw that early version indicated they all thought the concept of folk art was too advanced for the picture book readership. So I went about turning a 1,000-word story into a roughly 45,000-word novel. But I really didn’t find the writing of a middle grade all that different from the writing of a YA. In both genres, it all hinges on knowing your characters. 4. That’s so interesting on it starting as a picture book. Having great characters is critical to any story, but especially for contemporary ones. Share your tips on character development. I really think the key to creating a great character is voice. From the very beginning, I could hear Auggie. Even when the book was a picture book, Auggie’s voice was strong and clear. Sometimes, voices just come that way—easily, all at once. Other times, they have to be cultivated. You can achieve a strong voice by playing with an early draft, or by doing some external writing—imagining a conversation, or how a character would react to a certain sticky situation, for example. Once you can hear your character “talking” to you, once their voice is clear to you, you’ll be able to make that character come to life on the page. 5. That’s such great advice on finding your characters’ voices. What are three things you love about Auggie, the main character in THE JUNCTION OF SUNSHINE AND LUCKY? Her poetic voice, her sweetness, and her positive “anything is possible” attitude. 6. Deborah Warren is your agent. Tell us how she became your agent and about your road to publication. My relationship with my agent started in a pretty low-key, old-school method: a query letter. And from my query, the full manuscript was requested. This was followed by a phone call and an offer of representation. I think that early on in their careers, most people think an agent will magically make their careers better. They can, but even with an agent on your side, a book sale isn’t guaranteed—and it often doesn’t happen overnight. It still took my agent a year and a half to sell THE JUNCTION, with several revisions completed in-between rounds of submission. 7. Yes, you’re so right. Having an agent does not guarantee book sales or that they’ll come easily. You’re an established author with two books published and two books being released this year. What advice do you have for the rest of us in regards to our careers as writers over the long haul? Don’t give up. Period. But be willing to learn, too. Have confidence in yourself, in your abilities. And know that you have room to improve. We all do, whether we’ve been published or not. I’m constantly growing as an author. Listen to all the advice that comes your way. And even when the answer is “no,” figure out a way to turn the “no” into something positive. Each time you learn something from a rejection, you’re taking another step toward your ultimate goal of becoming a published author. 8. Thanks for the awesome advice. I know you set up an extensive blog tour for this book. How did you find the blogs for your tour and what considerations went into your decision to choose them? How else are you planning to market this book? In addition to the blog tour, I’m reaching out to librarians in both public libraries and schools. And I’m doing extensive Skype visits. If you’re a teacher or librarian and want to discuss a Skype visit, contact me directly at writehollyschindler (at) yahoo (dot) com. 9. Wow! I think I want to follow you around to learn all this. What are you working on now? My next MG and YA novels, of course. But I’m also working on setting up a tour for my forthcoming YA release, FERAL. To find out more, follow along at my own blog: hollyschindler.blogspot.com, or shoot me a message, again at: writehollyschindler (at) yahoo (dot) com. 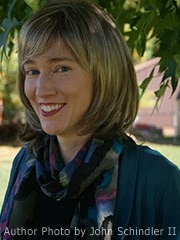 Site for young readers: Holly Schindler’s Middles - hollyschindlermiddles.weebly.com. I’m especially excited about this site. I adored getting to interact with the YA readership online—usually through Twitter or FB. But I had to create a site where I could interact with the MG readership. I’m devoting a page on the site to reviews from young readers themselves! Be sure to send your young reader’s review through the Contact Me page. 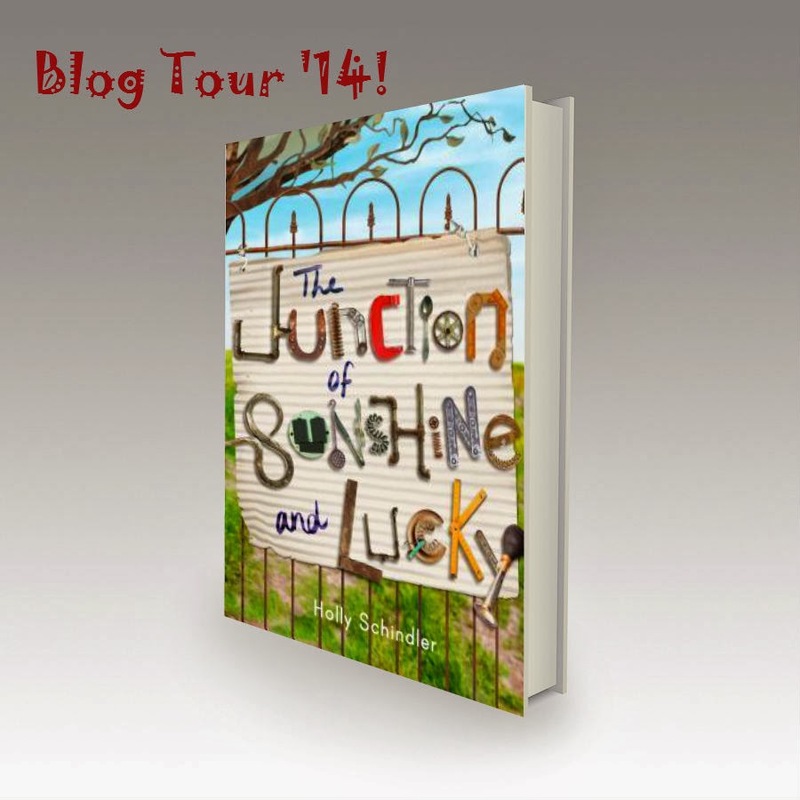 Holly and her publisher Dial generously offered a copy of THE JUNCTION OF SUNSHINE AND LUCKY: for a giveaway. To enter, all you need to do is be a follower (just click the follow button if you’re not a follower) and leave a comment through February 15th. I’ll announce the winner on February 17th. If your e-mail is not on your Google Profile, please leave it in the comments. Next Monday I’m interviewing Ryan Graudin and giving away an ARC of ALL THAT GLOWS, her fantastic YA urban fantasy set in London. Next Wednesday I’m participating in PK Hzero’s Blog Tour with an interview and giveaway of BUTTERMAN (TIME) TRAVEL INC., a fantastic NA time travel story that I really, really enjoyed. The following Monday I’m interviewing Terry Johnson and giving away a copy of ICE DOGS, her upper MG adventure story about a girl and her sled dogs and a guy she helps getting lost in the wilderness. I read it in early January and loved it. 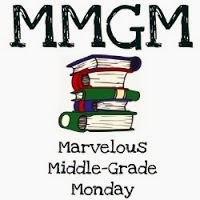 And Wednesday that week I’m interviewing debut author Gayle Rosengren and giving away a copy of her middle grade historical novel WHAT THE MOON SAID. It’s about a girl moving from Chicago to farmland Wisconsin during the Great Depression. It sounds like a fantastic story. This book sounds wonderful … I'd love to win a copy! Congratulations to Holly. And congratulations to you, Natalie, on being a judge for the contest! I'll have to take a look at this one. Love the cover. Hi, Holly! I absolutely adore the title of your book. It's just fabulous. Says so much. I would so love to read it. Wow, Holly has a lot of books in the works. I would have picked this new book up just from the great title and cover, but this interview made me appreciate how her hard work and persistence has paid off. Thanks for the interview. It made me realize authors are experts at juggling, too. Rewrites, blog tours, new stories, etc. This book sounds like a winner. The blurb for Julie's book sounds great!!! It's on my TBR pile. I love Holly's comments about agents. So true. PK is having a blog tour???? I need to check it out. You're one very busy lady! Hope things calm down at work soon. Economic climate is stressful all the way around. Aw, I love the premise to this book! So sweet. I really, really like the premise of this book! Finding one's shine and expressing it is a beautiful thing! I love, love the premise of this book. I also hope I win but if not, my library better have copies. Best wishes to Julie and Holly! 2014 I shaping up to be a stellar year for indie and small press published works. Holly's book sounds wonderful. I adore the title. Reminds me of a MG version of "Hotel on the corner of bitter and sweet." Natalie, thanks so much for the shout out! Holly's book is going on my to-read list! Thanks for the chance to win a copy! This book sounds fantastic. I can't wait to read it. I tweeted about the giveaway (https://twitter.com/rosihollinbeck/status/430387585068695552). Thanks for the chance to win. Holly and her book both sound lovely. Okay, that's one I definitely want to read, and then have my kids read. Why am I reminded of NYC... Oh! It must be the fines. I just adore the name The Junction of Sunshine and Lucky. It sounds different from the usual MG books. I just saw this book on Medeia's blog too. I'm definitely buying this one. Year and a half to sell it? That's perseverance. I have been hearing such great things about this book and it is already on my list of books I want to read (since I love MG books). 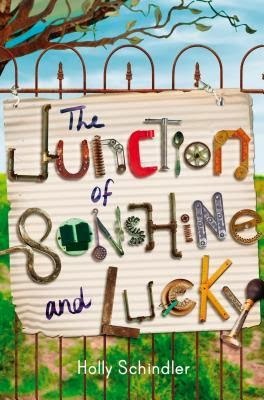 I found it interesting that The Junction of Sunshine and Lucky started off as a picture book because that is how my MG book started out too! Wishing Holly the best of luck. Thanks for sharing your journey and your advice. You've got a wonderful supportive mom, and I'm so glad to hear you can still get agents from a query letter. I know it happens, but it's nice to see it in person. Wonderful interview. I always love hearing how writers start out. And that cover is so neat! What a great interview! This book sounds fantastic--just the kind of book I love. I added to my Goodreads list. What an adorable cover and premise. Congratulations on being a judge Natalie, sounds like you should have some fun! Thanks for the intro to holly and her books. This sounds like a new MG that lots of people would enjoy. Please enter my name in the draw. Love the title of your book. Sounds like a good book. Just added this to my "have to read" list. Thank you for the interview and giveaway! I liked reading about how the author found the character's voice and how she persisted through such a long writing journey. I enjoy middle grade novels and can't wait to read yours! I will share on Facebook. The cover got my attention right away! Kids are going to love it. Thanks for the interview and for mentioning Julie's book, too! Lots here today. Love that fresh story concept! Winner, winner, chicken dinner! I won! Yesss. And great interview today as well. :) Happy happy day. An arts enthusiast, I love seeing writers incorporate art into their work. Holly's story sounds very original, and I'll be on the look out for it. That is such a nice cover! Sounds like a great book. This was a fantastic interview. I gleaned so much information about MG blogging, blog sites, marketing, and so on. This book sounds wonderful in so many ways. The characters are overcoming many barriers; this has lessons that are so very important for today's population. I'm a follower via email and I also sent a tweet promoting the giveaway (URL: https://twitter.com/willms_m/status/430867585819623424). My preferred email is: michelle_willms at yahoo dot com. This book sounds wonderful! Thanks Holly and Natalie! As Holly said, it's good to remember that we writers can always learn more. We shouldn't get complacent when it comes to our writing abilities! Congrats, Holly. Setting up your own blog tour through bloggers with whom you connect already is the best way to go. When there's no initial relationship, I don't think it works very well. Thanks for the interview, and congrats to Holly! Wishing her all the best. Appreciate you sharing this with us, Natalie. Hope the job stress levels out soon. I was just reading about this book over on Medeia's blog, so it's fun to find an interview with the author here. I used to love watching those trash-to-treasure shows on HGTV, so I'm sure I'll enjoy reading this. I heard Deborah Warren speak a few weeks ago. She seems very passionate. Great interview. I love Holly's writings. I'm glad she was persistent about getting published. I'm sorry to hear about all the stress at your work. Of course everyone wants to keep their job, but it seems some employers are taking advantage by having them do more. Congrats to Julie on her book! Very interesting how this story turned into an MG novel! Great premise. I love the cover too!! Hope you survived your week Natalie! I'm really looking forward to this book! Thanks for the great interview, and especially for the good advice (even though I KNOW "don't give up", I find it encouraging when others remind me of it, and when they share the stories of their writing journeys...so, thank you!). I'm so sorry to hear about your stress at work. My fingers are crossed that it gets better. Thanks for the great book recommendations, and an excellent interview. I'm off to check out the links. Would love to win a copy! Thanks!